I will always remember that moment I became a mother. I will never forget all those emotions, the thoughts and those feelings that overcame me in that moment after trying for so long. Those two pink lines were finally staring back at me. After wanting something for so long, I remember how surreal it felt. I remember feeling a rush of excitement, elation followed by worry and so much doubt. Several pregnancy tests later it was the answer that we had longed for, it was happening. We were expecting a baby and from that moment I pretty much fell in love. And with that rush of love came an obsession to make things and keep anything to do with my pregnancy. 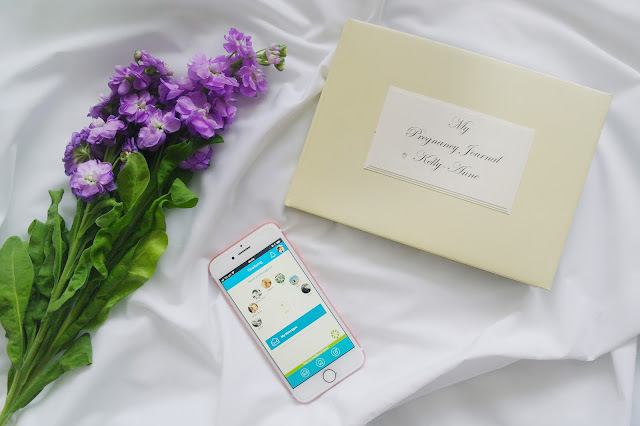 I really enjoyed writing a pregnancy journal documenting all those unpredictable mood swings, the butterfly moments and everything else in between. Then when she finally made an entrance into the world the love for her just grew and I became obsessed with documenting everything, there wouldn't any moment that I wouldn't be able to look back on, especially with the way I would snap away. There is not a moment in my daughter's life that I haven't documented. The pregnancy, her birth, those special days and moments, first holidays, the weaning stages, the meltdowns and even the sassiness! I want to be able to cherish them forever. My beautiful baby has just turned four and as each day passes so does all those baby and toddler quirks, she's is beginning to say words the correct way and doesn't really need my help for most things unless it's to put another episode of Ben & Holly on Netflix. My baby is a baby no more, she is a fully fledged little girl and this little girl of mine is heading off into the big wide world of school. As a mother this is a milestone that many don't really look forward to because it marks such a big moment for both little one and parents. As a mother this milestone has been particularly hard for me, well she has been in my life full time for the past four years and in September she will be her own person, at school full time. It's really bittersweet. No one really wants their baby to grow up, but it's something that happens and if you're like me I want to remember every moment of her. I never want to forget her quirks, the sass, the way she says vegetables I want to remember it all. I am quite a sentimental person, my husband calls me a hoarder, however I feel I am more sentimental. Since becoming a mother to my beautiful miracle baby I have kept so many keepsakes. I have pregnancy journals, boxes that are jam packed full of photos, hospital letters and baby cards. I have kept her first size sleep suit, first bib, her first dummy, hospital bands and even her hospital blanket. I just can't bare to part with these little keepsakes. However it's not just the physical keepsakes that I just want to remember. Something that I did before becoming a blogger was write snippets of my thoughts and feelings down. These snippets would normally be during the 3 am wake up calls or when I was feeding her. And it really didn't matter what nature these snippets were about but I just knew they would be something that I wanted to remember. For these kind of memories I did set up an email address for my daughter and I have been sending email after email for the past four years with the intention that she will open them all on her eighteenth birthday, but I have discovered something a little different that we can share with all her aunts, uncles and grandparents who are just as sentimental as us. 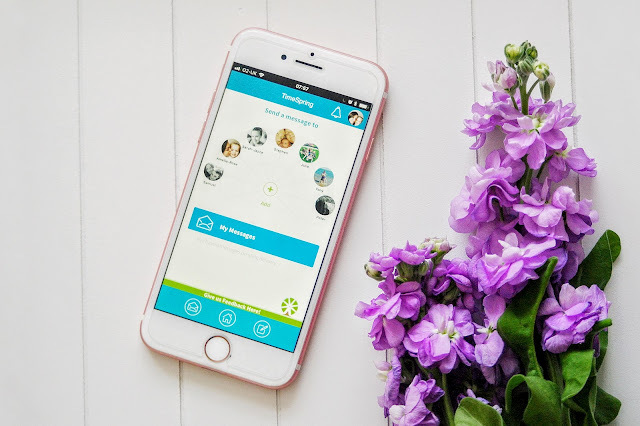 TimeSpring which is an amazing app that is like an online memory box that everyone can enjoy. It's really simple and easy to use, you start off my creating profiles for your family members including their relationship to you, their date of birth and an email address. 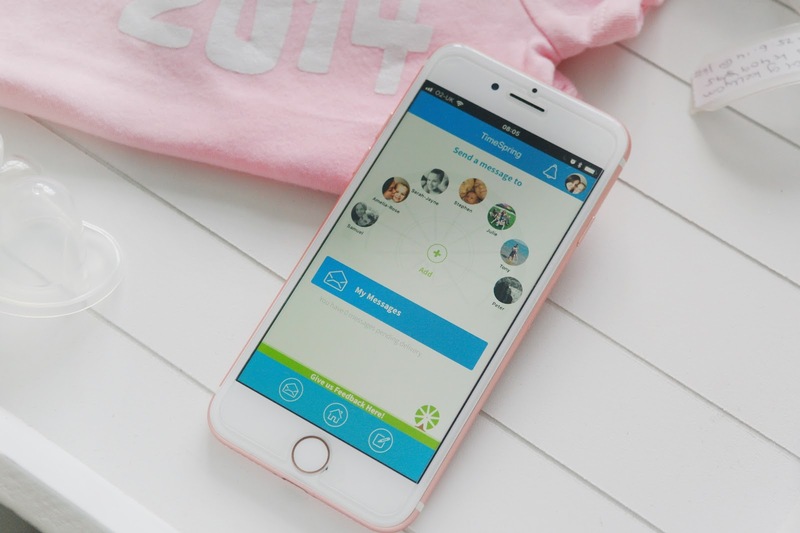 Once you have added all your loved ones to the wheel you can then start sending them messages and photos, whether it's a milestone, a first smile or you can just send your child a little message for them to open when they are older. I think that this is so much more than the basic email I had for my daughter, it's a great way to involve the whole family. 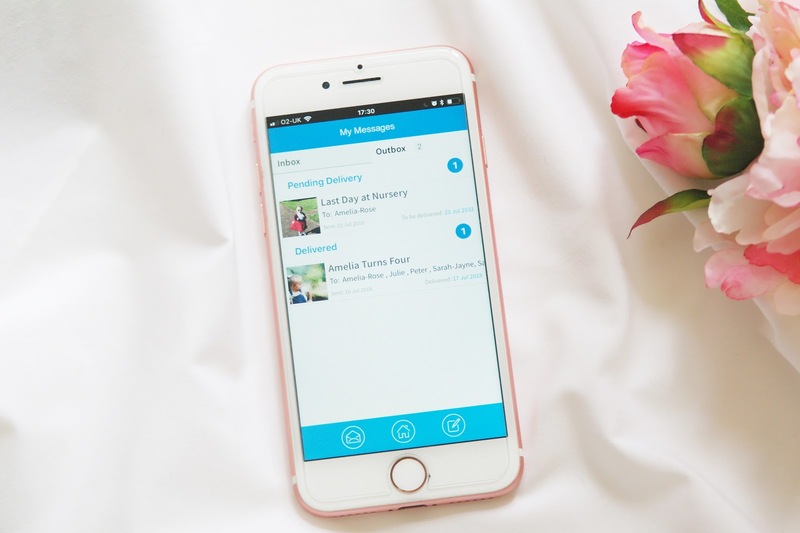 With TimeSpring I will find it so easy to documents the perfect little moments and be able to share them with family and friends ensuring that they are a part of the journey too. I can't help but feel that an app like this will be even more meaningful than a simple photo. It will be a great way to reflect on those moments as a mother and see how much I have grown as a mother, as well as watching all the fun with my little one along the way. 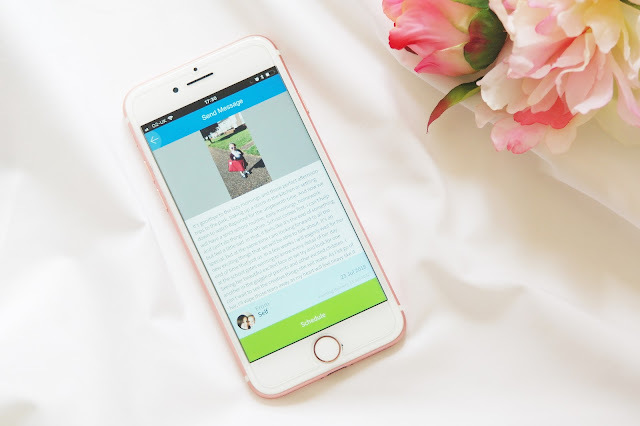 I really love the idea of 'time-release messaging' as they will give those messages a life of their own, ensuring that friends, family, and children will not only see and enjoy those photos, but also experience how I was in time and space. It's brilliant. In September I am sure that my daughter's messages are going to be jam packed full of sentimental thoughts and feelings about her first day of school, things like how I am missing a leg or that it's an end of an era for us or other mushy stuff. But I hope that in some way with the 'time-release messaging' we are able to share moments together and perhaps she will want to open this message on her child's first day of school. My daughter best be prepared with all these messages though, as it will probably take her another eighteen years to read though. It also has a new feature 'send to self'' which is probably one of the best ways to help me get organised, as I am able to send messages to myself reminding me of things. 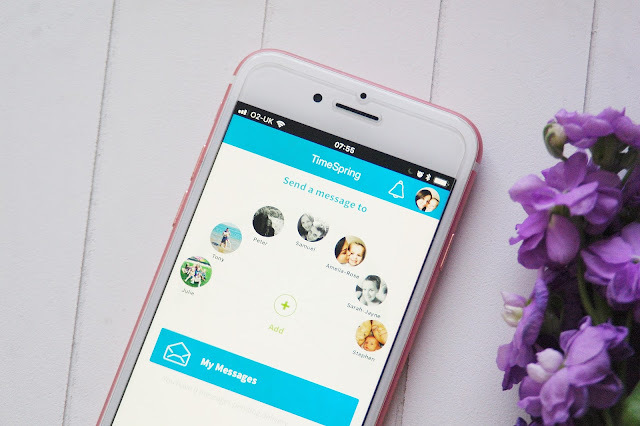 TimeSpring was originally developed for parents to send their children messages to open on their eighteenth birthday, but you can also share important moments with other family and friends too. I think it's also a great way to share those memorable moments with friends and family who live abroad. 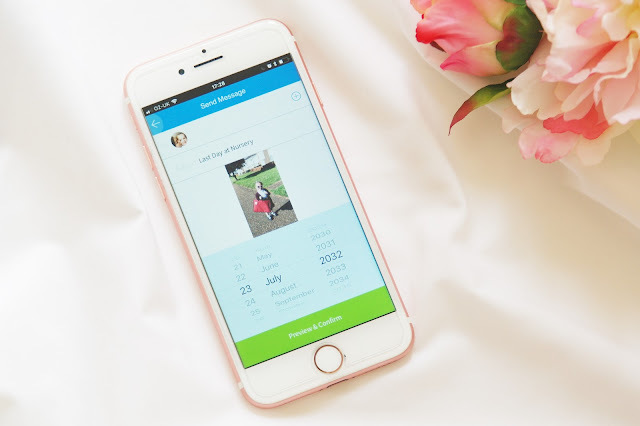 We have relatives in Australia so this app is a fantastic way to keep them involved with my daughter and all those milestones, it makes keeping those memories as easy and convenient as possible. For those too young to have an email address, you can simply leave it blank and add when they do create one. There are no limitations to recipients, so go and get all the family involved. It's free to use and can be downloaded in the app store, so it's really accessible. Just note that if you wanted to include videos you can will have to make a purchase. For us, TimeSpring will always be a part of out lives to shares the memories, reflects on the big moments and appreciate the little ones. Do you think TimeSpring is something that you would use? You can download the app for iPhone and via google play. So what are you waiting for, go and documents those moments you want to remember. This is a post in collaboration with TimeSpring, as always all my views and opinions are entirely my own. 12 comments on "Capturing Those Moments to Remember with TimeSpring"
This is so cute! I have things like hospital bracelets and health visitor notes - time goes so quickly and it’s nice to have these things to remind us! Oh yes, I have to say that this is a great way to keep everyone involved! 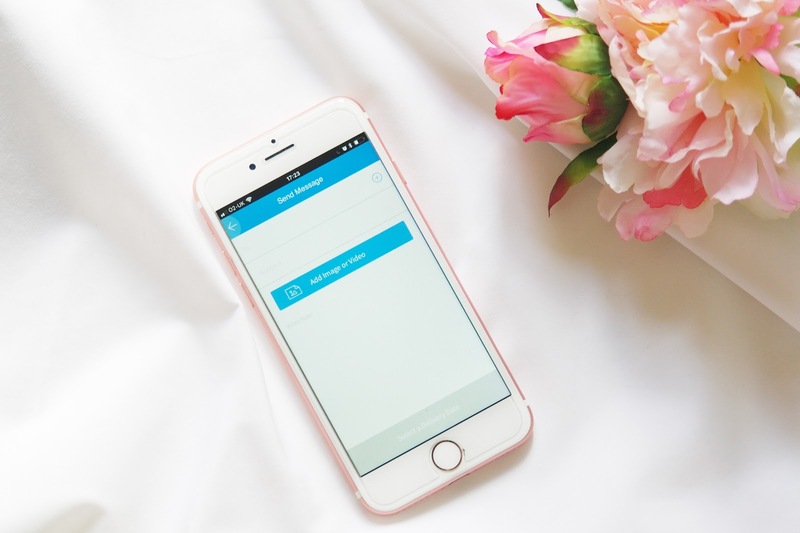 I will definitely start using this app, sounds perfect for storing memories! It's a great little app, don't forget it's free to download too. I need to download this app, I love treasuring memories of Ru! Oh you must, it's great for keeping memories of little ones. Oh yes, but this is a great way to look back on those memories. Omg an online memory box sounds amaaaazing! I keep absolutely everything that is sentimental to me so this would be so cool for me! Apart from my blog this is the perfect way to look back on those memories.